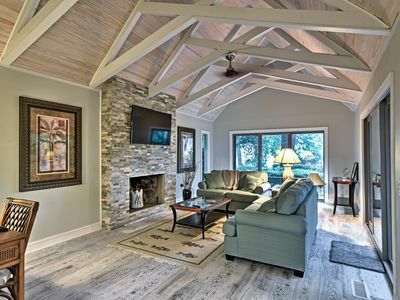 Head to Hilton Head for the ultimate getaway at this remodeled 4-bedroom, 2-bath vacation rental home. 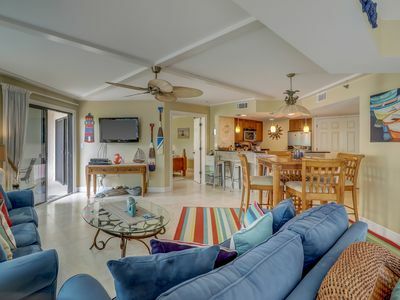 With accommodations for 12 and 1,850 square feet of stylish living space complete with a brand new kitchen, this property is perfect for family vacations and special occasions. 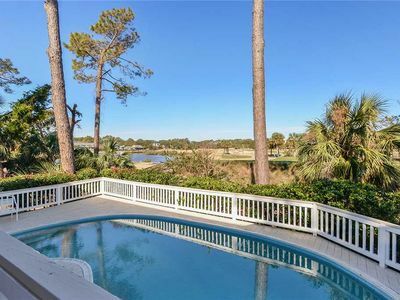 Situated on the 5th green of the Robert Trent Jones course in Palmetto Dunes Resort, this home is in the perfect location to enjoy the best the island has to offer. Take the shuttle to the beach! 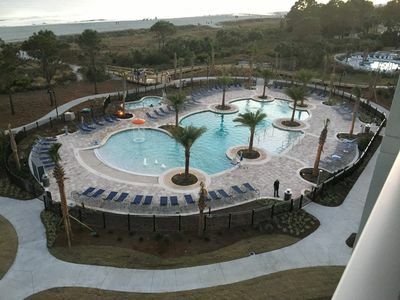 Make the most of your South Carolina escape when you stay at 'Mariner in Palmetto Dunes,' offering an array of amenities for your enjoyment. 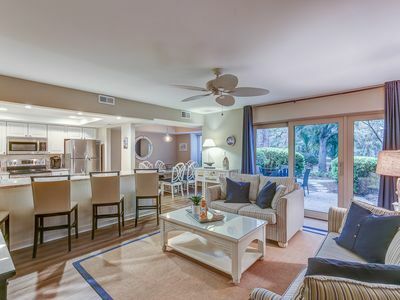 Delight in free shuttles anywhere on the island, play a set at the tennis courts, fire up the gas grill for an afternoon BBQ, or take the beach chairs and make a splash in the ocean. Stepping inside, you'll be impressed by the spacious living area featuring sleek hardwood flooring and large wall-to-wall windows which invite warm natural light to illuminate the open-concept interior. 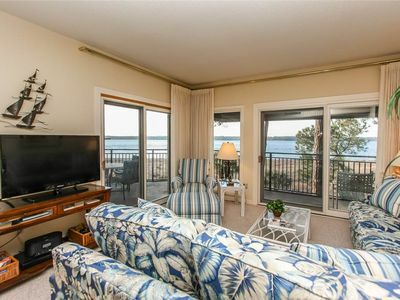 Settle down after your travels on the plush couches in front of the large flat-screen Roku TV and immaculate floor-to-ceiling wood burning fireplace. 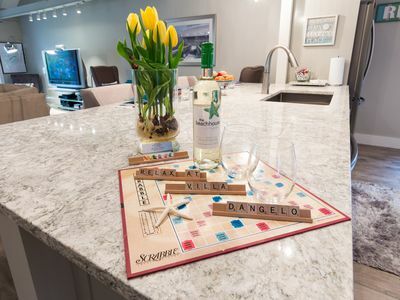 When you have worked up an appetite, make your way into the fully equipped kitchen, featuring stainless steel appliances, ample granite counter space, and stylish cabinetry. 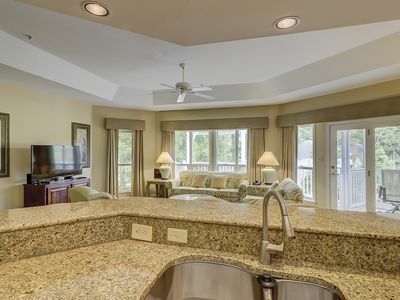 Prepare a mouthwatering meal to be enjoyed at the breakfast bar or al fresco around the table for 6. 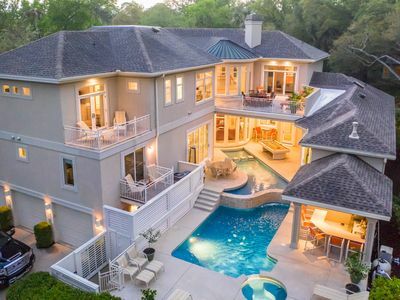 Before calling it a night, experience the spacious exterior of this home. While the kids swing and play in the immense yard, pour yourself a glass of wine as you relax on the patio surrounded by a sylvan setting. 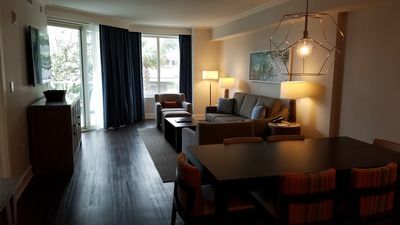 As your eyes begin to grow heavy, retreat to your master bedroom outfitted with a lustrous king bed, large flat-screen TV with Roku and YouTube TV and an en-suite bathroom offering a jacuzzi and walk-in shower. When the others are ready, they can climb under the covers of the additional 4 queens and queen-sized sleeper sofa. 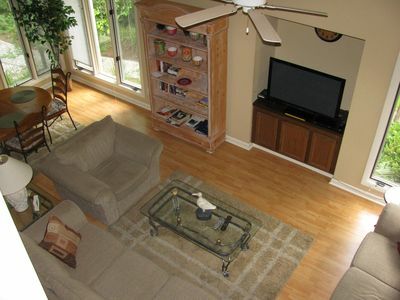 With endless local attractions so close to the property, you'll never want to leave! 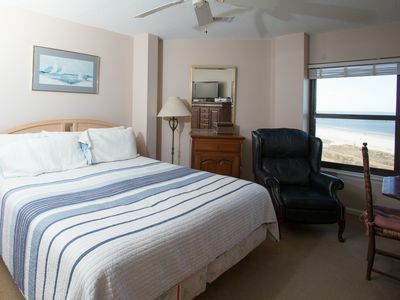 Pristine Atlantic white sand shores lie a mere mile away, making it effortless to grab the beach chairs and towels and set out for a day of waterfront endeavors. Call the free shuttle for first-class service to anywhere on the island! 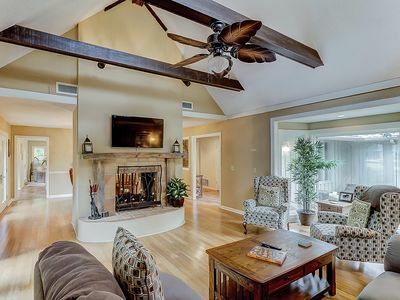 Golf lovers revel in this property's proximity to several courses in the area, such as Robert Trent Jones Golf Course right outside your door, George Fazio Golf Course, or Long Cove Club. 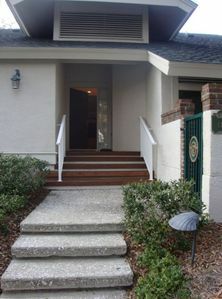 Just down the street is Palmetto Dunes Tennis & Pickleball Center offering an enormous facility to get some exercise! Discover the local restaurant scene within reach, including The Dunes House, Alexander's Restaurant & Wine Bar, and The Lucky Rooster Kitchen and Bar. When you need a sweet treat, venture over to Hilton Head Ice Cream for a scoop of their Butter Pecan! 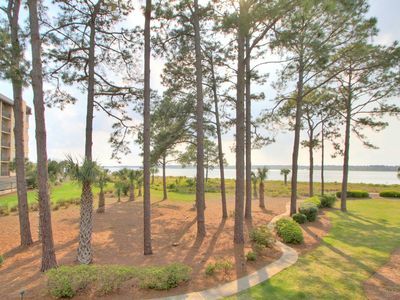 Drive or easily explore other nearby attraction by way of the abundant Hilton Head Island Bike Trails and discover Sea Pines Forest Preserve, Coligny Beach Park, Hilton Head Distillery, or the Coastal Discovery Museum, all less than 10 miles away. For more outdoor adventures, visit the Pinckney Island National Wildlife Refuge - only 16 miles from your door. 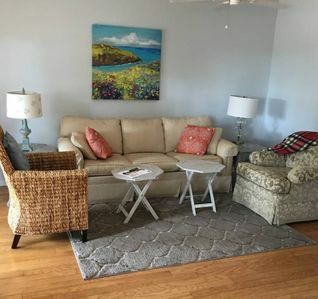 - Amenities include a fully equipped kitchen, 5 flat-screen TVs with Roku and YouTube TV, free WiFi, wood burning fireplace, central heating and air conditioning, furnished patio with a gas grill, in-unit laundry machines, a large yard, 4, 4 beach chairs, free parking, and more! 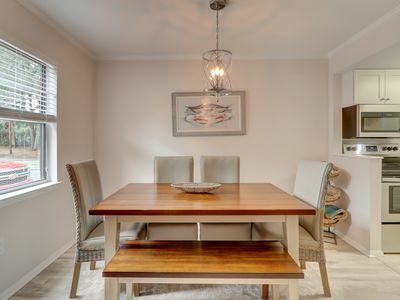 Short Walk to Beach Beautiful golf views 4 bedroom Family Home! 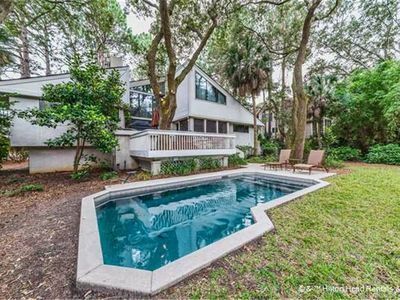 Spacious Sea Pines home w/ private swimming pool, spa, deck & pool table! 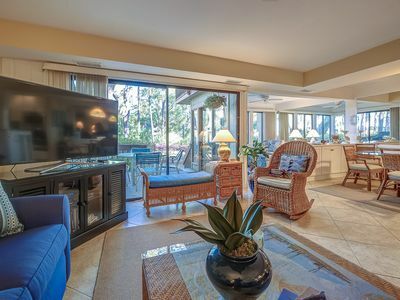 Stunningly remodeled 3rd floor villa with ocean views! 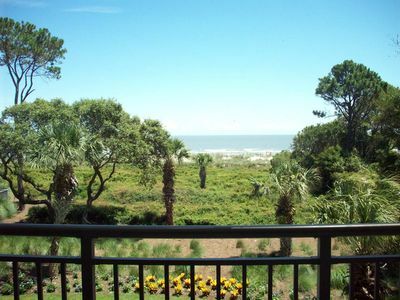 The best beach on the Island is 10 or less minutes from the condo. Good Times!